Coffee and Tea are a daily necessity in our household. Every Morning we wake up and turn the coffee maker on. We have a Kuerig so it is great that we get to choose which coffee or tea we are in the mood for that day. 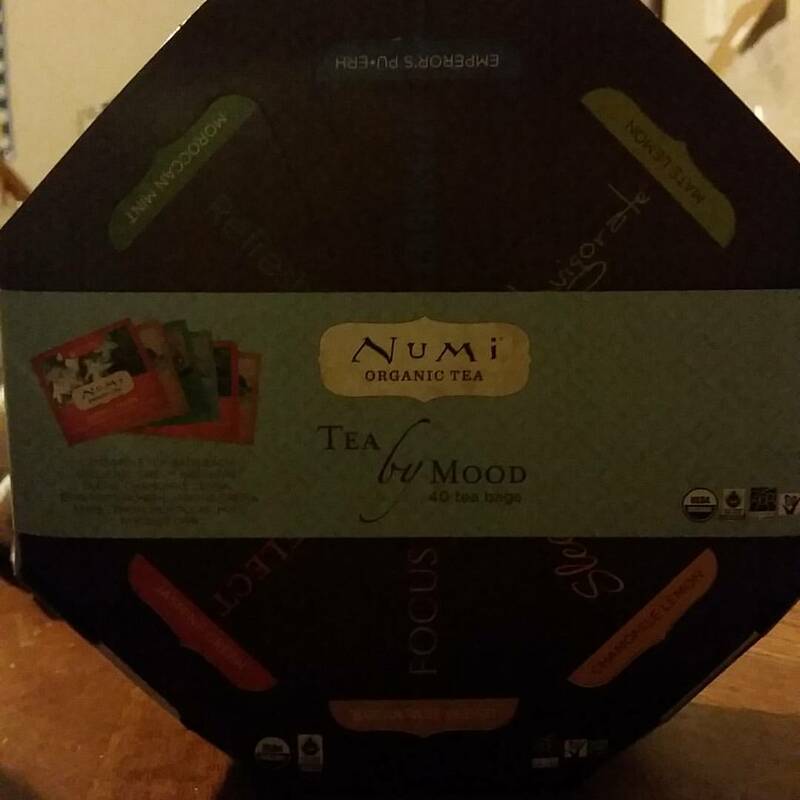 This is a great gift basket for tea lovers. There are 8 different flavors to choose from. 40 bags of tea in total. I know this would be a great gift for many people in my family. I know I truly would enjoy it as well. I have been a bit adventurous and trying different flavors of tea. I used to not drink it at all. This gift-set is great for someone that wants to try different flavors to see which one is their favorite. I love that it tells you on the package what the tea will help with. I truly love the one that helps with inspiring and refreshing. Click on the link above for more information about this product. 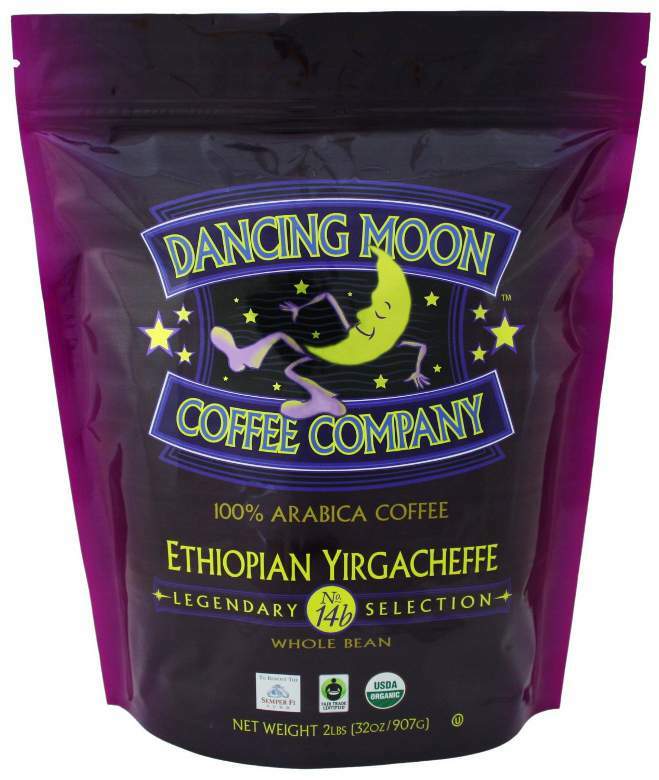 This Coffee from Dancing Moon Company is just delicious. It comes in a large resealable bag. It is whole beans so you can ground them freshly every day. It really makes your home smell as amazing having freshly ground and brewed coffee. This coffee definitely is refreshing when we wake up in the morning. My husband and I have coffee just about every morning. It really helps us get the day going. There are several varieties available to choose from. If you would like to learn more about this company click on the link above. Two Rivers Coffee always seems to have the best varieties of coffees, hot cocoas and teas. I really love getting their variety boxes. It gives you the opportunity to try several different flavors before you decide to stick to one or two particular flavors. So many delicious flavors to choose from. I really love the Mint Chocolate Chip and the Butterscotch one from Friendly’s. I love that not only is there coffee in the premium mix but there is also teas, hot cocoas and apple ciders. If you would like to learn more about this company click on the link above. 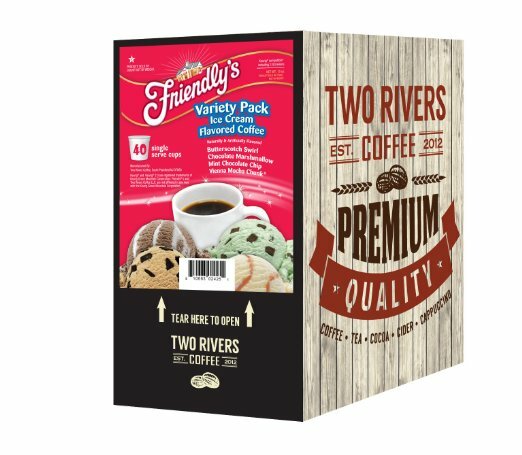 I would actually love for my son to get me the Two Rivers Coffee gift set, it’s not too expensive and I would love it. Would love to give my mom the tea gift set.